People in the south west are warned not to get too close to the cliff in the wild weather. 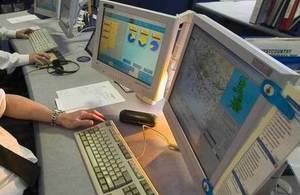 HM Coastguard is warning people in the south west of the dangers of getting too close to the coast during this evening’s wild weather. The weather forecast for the region is predicted to be south or southeast veering southwest, 7 to severe gale 9, increasing storm 10 for a time with very rough seas. Her Majesty’s Coastguard has been dealing with multiple incidents tonight and many people are putting themselves in unnecessary danger. As we have severe gale storm force winds, high tides and heavy rain, HM Coastguard is urging people to stay away from the coast. In this part of the country, conditions on the sea and along the coast are currently extremely treacherous. HM Coastguard’s advice is simple: don’t take risks by straying too close to cliff edges or breaking waves and please stay out of flood water. But if you do get into difficulty, or spot someone who might be in trouble, call 999 and ask for the Coastguard.